Being able to survive an extra long car ride with kids is key to starting your vacation off on the right foot. Every year we make at least one extra long car ride and our kids know when it’s time to pack it in for the long haul. In Canada, it is typical for families to hop into a car and drive for hours and hours. Reason being is the cost to fly can be expensive, there is not an expanded train system and sometimes you need to go somewhere that you can’t fly into! 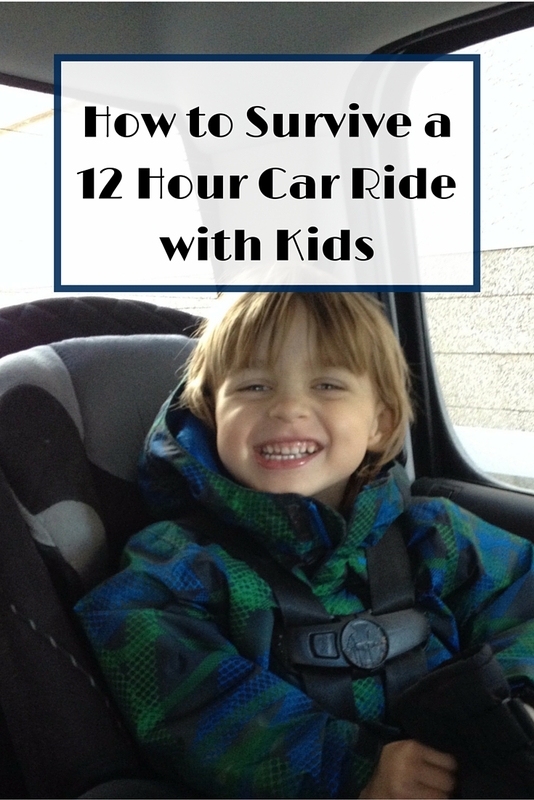 So if you are thinking about a long car ride with kids; review some of our survival rules for a 12 hour car rides with our kids. 1. Snacks: If you think you have packed enough snack…. pack some more. We do try to bring fresh veggies, fruit, sandwiches, cheese strings, yogurt drinks and other food that will last a good part of the day. But, we also have the granola bars, crackers, apple sauce, etc that will never go bad. 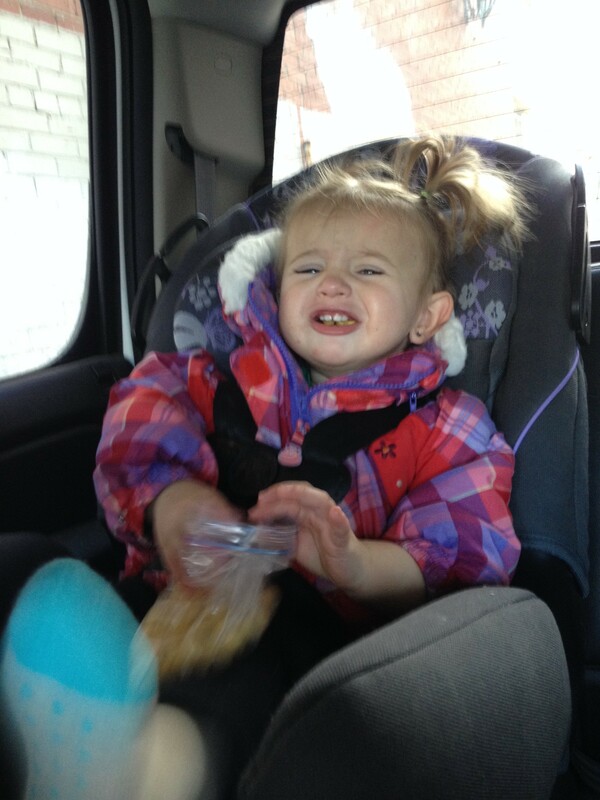 Just like us, kids seem to eat more while sitting in the car. 3. Kids Backpack of Fun: Each kids gets to bring their backpack for their books, toys, crayon/markers, stickers and coloring books, etc. We also bring a clipboard so the kids have a hard surface to color/draw on. 4. Games: Kids get a kick out of games that have involvement from us in the front seat. You have to remember these – I Spy, License plate game, Animal game, etc. 5. Enjoy the Family Time: So often our lives are crazy busy and we just don’t stop. We like the car rides because we actually have to stay in tight quarters with each other. Listen to the story your kids are talking about and ask trigger questions that get them more involved with the conversation. They are only little for so long, so listen to them. 6. Electronics: Yep, sometimes mom and dad need a little down time. We have reduced the amount of electronics and keep things simple. They watch movies, tv shows and play games all on Ipads. We download movies/shows from Itunes before we leave and we usually get them a new one for the trip to keep them focused on something new. So no more dvd’s getting thrown like frisbees into the front of the car, this is a great improvement! We usually have about 4 movies on each Ipad and different ones on each of them, so we can switch off and then we end up then having a couple of movies for the kids when we get to our destination too. Plus, kids usually end up watching the same show over, and over, and over again. 7. HEADPHONES: There are only so many times you can listen to the Dora theme song or The Chimpmunks… headphones are a must! The best ones that we have found that are good for noise cancelling and actually fitting our little kids heads Kidz Gear. 8. Bathroom Parades: Every time we stop for gas/food/etc, they go to the bathroom whether they have to or not. When they were in diapers we changed them every time we stopped. It’s a good stretch for them too. When our kids were being potty trained we also brought their foldable potty training seat, so they didn’t get so freaked out by the variety of bathrooms. 9. Pack Toilet Paper/Wet Wipes: There will that one time where you need a pit stop on the side of the road. Honestly, I’d rather just stop on the side of the road instead of cleaning up accidents. 10. Small Blanket: Usually just a small blanket for each of them, cover them up so they can snuggle with and maybe actually have few naps. It was actually easier to travel with them when they were babies and smaller since they napped so often. The older they get the less they sleep! 11. Extra Considerations for Infants: When my kids were infants, I actually sat in the back seat with them for majority of the trip. Their seats were reverse, so I found it settled them down easier if they could see me. Plus, a lot easier for bottle feeding, feeding snack, making sure they were comfortable; easier for reading books and “entertaining” them. 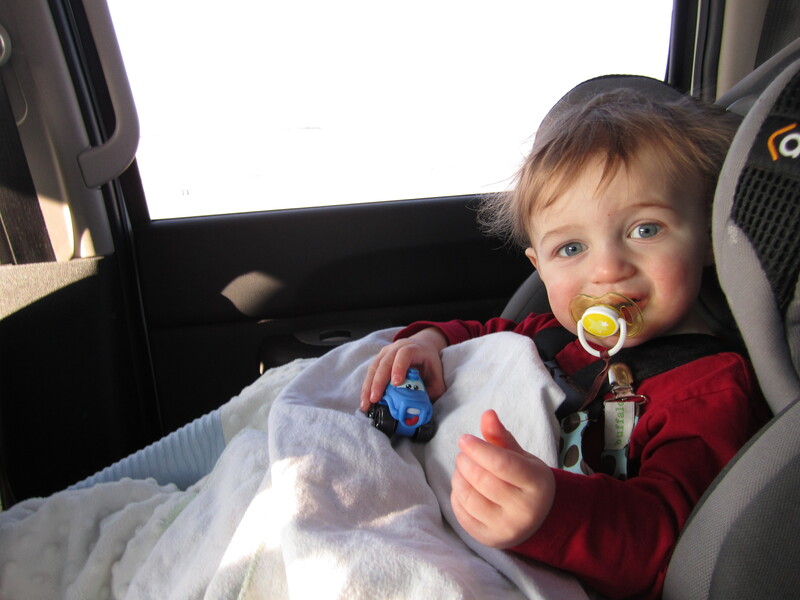 Bring extra soothers, a pillow for you to sit on in the back middle sit (argh), lots of wet wipes and extra diapers. 12. Are We There Yet? It never fails, 15 minutes into the trip, kids start to ask this question! We both look at each other and laugh, “Not yet”! We measure how much time is left with metrics they can understand, like number of movies, after supper, when it’s dark, or after we start to see mountains. Things they can grasp for time. Sometimes, we have even just said things like “After you see an elephant” … even though we are driving in the Canadian Rockies. IF we ever did see an elephant in the Rockies… trust me we would stop! Your kids will have certain things that work for them to and may be a little different. The more you go on long car rides with them, the better they will be at getting through them. Our kids now know, when we are packing the car up the night before there is a big car ride planned for the next day. They love hoping into the vehicle at 5am, in their comfy sweat pants, no shoes and get to relax in the back seat. Oh, and don’t forget their shoes! Yep – did that one time and drove back 30 minutes! Our kids know that at the end of long car ride is an amazing new adventure and trip, and sometimes getting there and the journey takes some commitment but it is so worth it in the end. I can remember countless games of count the bugs on family road trips, singalong and games like how many words you can name with the letter w… fun times even with the constant bathroom breaks that we barely made and all those questions. Still like you said, they only stay little for a finite time. I forgot about counting the bugs, nice one! Road trips are some quality time with the family. Thanks for your comments. 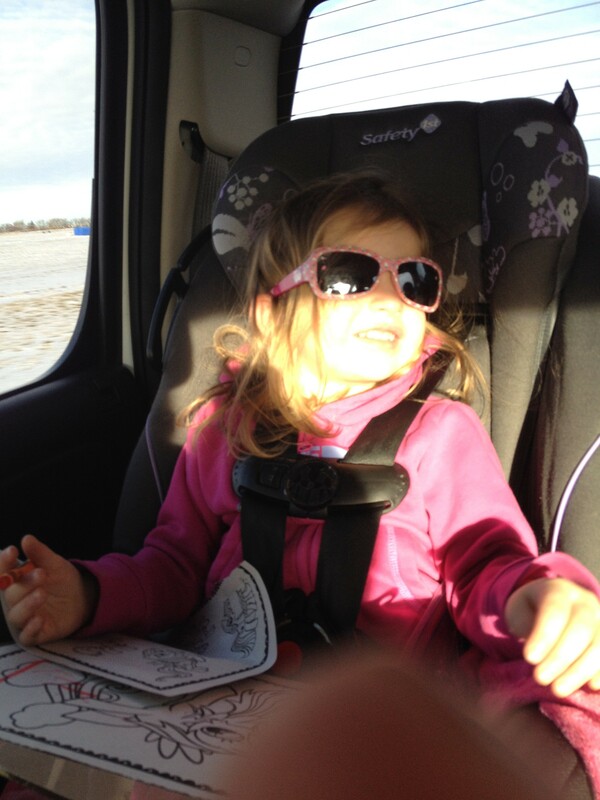 You guys take road trips exactly like us, with the kids buried in the backseat! lol. Forgetting the water bottles is usually our number one miss, meaning an extra stop. 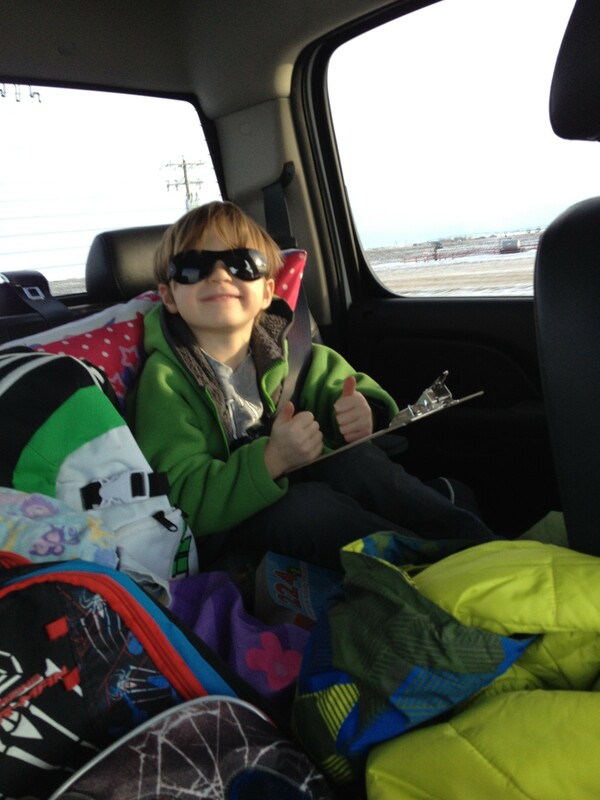 And we find that our kids are now amazing at road trips, which in turn translates to being amazing on planes as well! Love road trips! There seems to always be that one thing that gets missed with us too! Best intentions but also have to be adaptable. We love our road trips too! So true, this just happened on our trip a couple of weeks ago, where I told my son to count the trees… Not possible when you are driving through the mountains… Oops! Yep, long flights are about the same tips. I think it is definitely easier for us now as parents with IPads versus what our parents did with us and nothing to keep us occupied. But, we did survive too!